Buick has long been known for its sleek and classy looking cars, that are combined with comfortable luxury. Even its used cars have class and luxury, and here at Ewald Chevrolet Buick, we have plenty of classy, luxurious used Buicks for sale! Such as this used Buick, the 2011 Buick LaCrosee CX! Packed away under the hood of this stylish car lies a 2.4L DOHC, 4-cylinder SIDI engine with Variable Valve Timing, gaining up to an impressive 182 horse power at 6700 rpm, with 172 pound-feet of torque at 4900 rpm, so not only is this used car comfortable and good looking, but it is also fast as well, all of which is combined with a sweet 6-speed automatic transmission with Hydra-Matic, and electronically controlled with overdrive that includes Driver Shift Control! but this stylish used car for sale has even more to offer you, so come and see for yourself! This sleek used Buick for sale proudly displays many installed options that you will thoroughly enjoy, and will make you fall in love with this vehicle, such as its Electronic Stability Control and Traction Control that will make sure that your used Buick for sale is always balanced and centered and has a good grip on the road below you, or its cushioned cloth Bucket Seats which will be as comfortable as can be from the minute you sit in it, for the entire ride. You will also enjoy its Auxiliary Power Outlet that will allow for you to recharge your electronic devices like a cell phone or a music player! 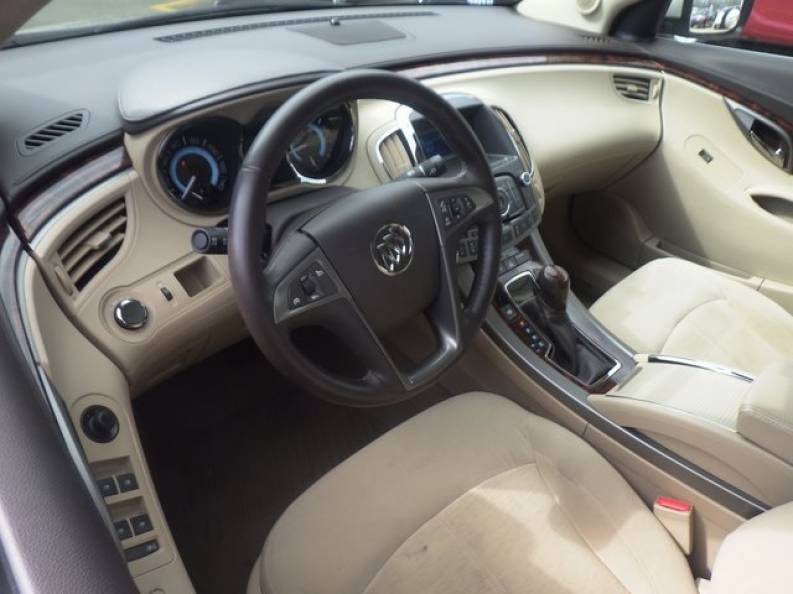 You may also enjoy its Leather Wrapped Steering Wheel that will only add the the level of class and luxury that you will experience when driving this used Buick for sale! 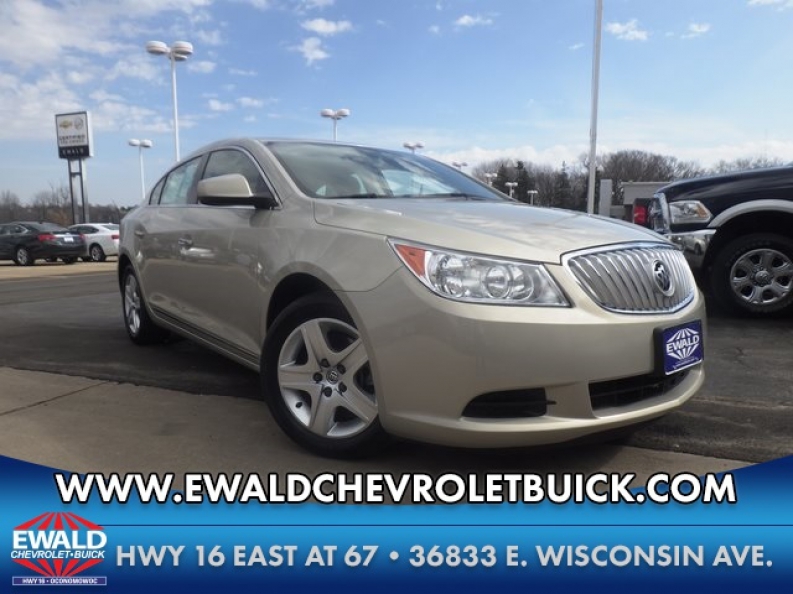 Stop by Ewald Chevrolet Buick, located at 36833 E Wisconsin Ave Oconomowoc, WI 53066, to see this Buick car for sale or to take a look at our inventory of other used cars for sale!